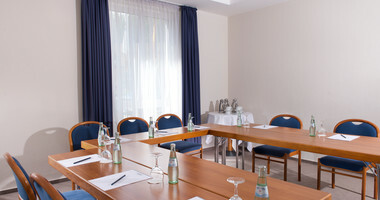 The 4-star Wyndham Garden Potsdam Hotel is very close to the famous Sanssouci palace gardens. 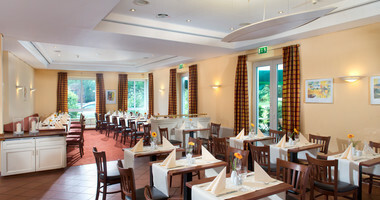 Guests of our hotel in Potsdam enjoy top service in the hotel restaurant and on the summer terrace. 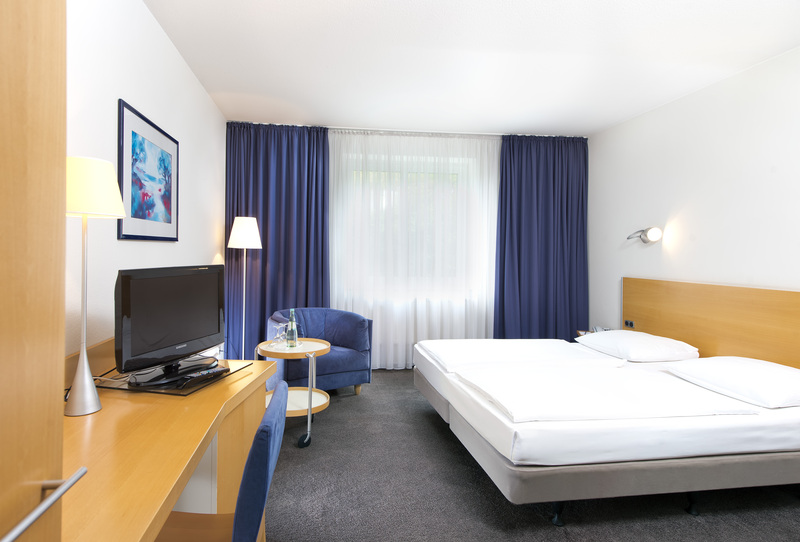 The quiet and comfortable guest rooms of our Wyndham Garden Hotel Potsdam are ideal for a short city trip to Potsdam; the family rooms of our hotel are perfectly suited for longer stays in Potsdam. Children under 13 years old stay free-of-charge in their parents hotel room. 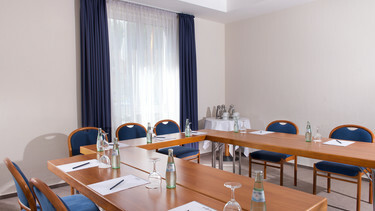 Small meetings, larger conferences and exclusive events – theWyndham Garden Potsdam Hotel is ideal for events with flair. 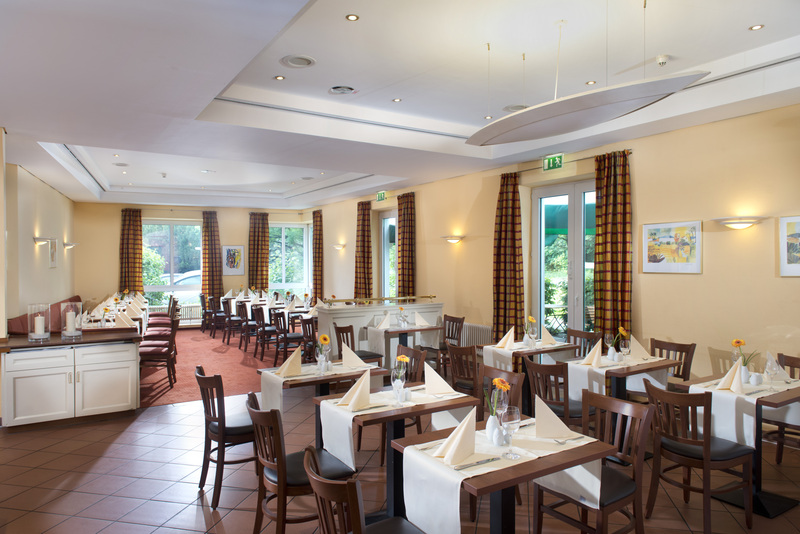 3 flexible function rooms and our hotel restaurant provide an attractive setting for private parties, conferences and business events in Potsdam, the beautiful Brandenburg capital. Potsdam, the former royal residence of the Prussian Kings is renowned for the impressive palaces and gardens and for the Babelsberg Film Studios. 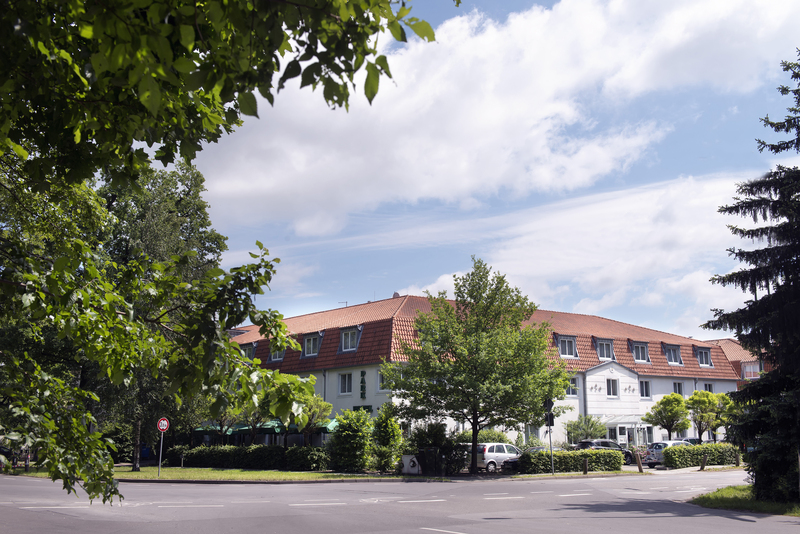 Wyndham Garden Potsdam Hotel is perfectly situated for the public transport network: in just a few minutes you can reach Potsdam city centre with its brick houses in the Dutch quarter, the Russian Colony and the picturesque alleys of Potsdam to take a stroll through. 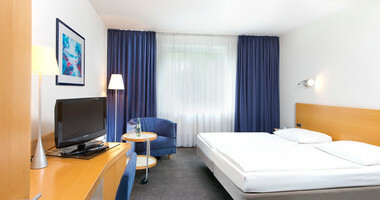 The German capital Berlin is easily and fast reachable from our Potsdam hotel by public transport or by car. We have a wealth of Potsdam tips for you. 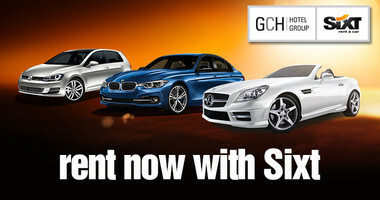 Do not hesitate to contact us! Contact. 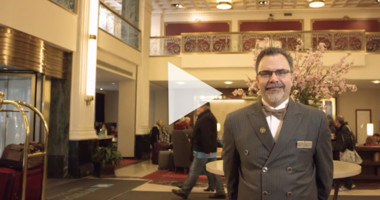 Buy online and print your personalized gift voucher of the Wyndham Garden Potsdam Hotel. 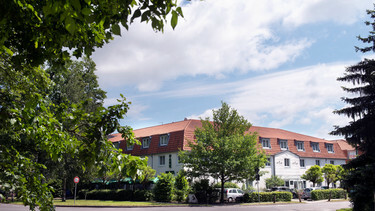 Accommodation in Potsdam in quiet rooms with flair - the Wyndham Garden Potsdam Hotel is very close to the beautiful Sanssouci palace gardens. Beelitz asparagus, Linum pasture-raised beef, Havelland pears – Our guests can enjoy culinary highlights in our hotel restaurant with seasonal and regional cuisine. 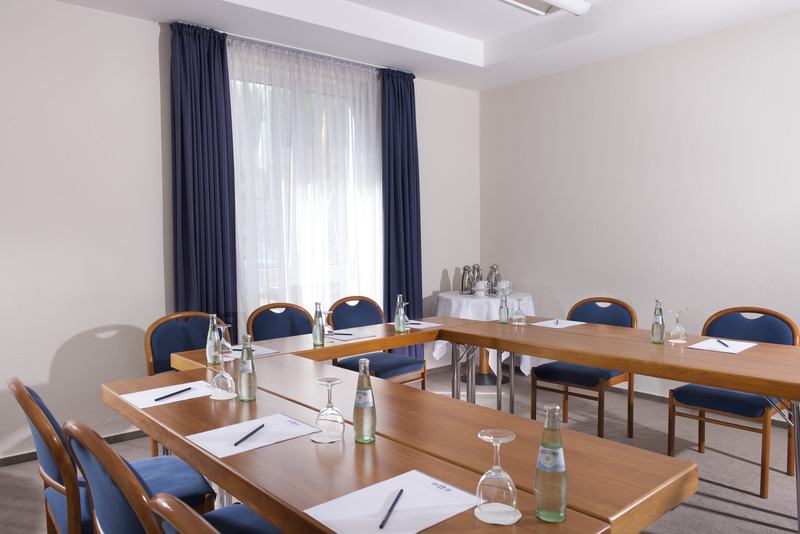 Business events or meetings, conferences or private ceremonies - With three meeting rooms, the noble Potsdam Hotel offers the perfect setting for events of any kind. Potsdam has a wealth of excellent restaurants, cosy cafés and exclusive hotels. The diversity of Brandenburg's capital is reflected in Potsdam's gastronomy scene: atmospheric brunch trips on the Weiße Flotte, beer gardens directly by the water and excellent gourmet restaurants are all situated in a small area. In the middle of Sanssouci Park you can find the Restaurant & Café Drachenhaus in a unique historical environment. 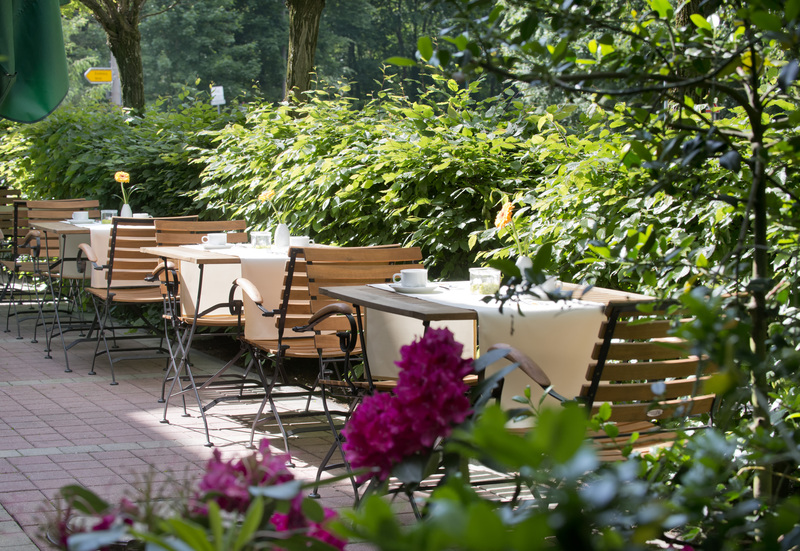 In the Am Wildpark restaurant at the Best Western GCH Hotel Group Parkhotel Potsdam you can enjoy regional cuisine on the summer terrace close to the palace gardens. And in the Mövenpick Restaurant Zur Historischen Mühle Potsdam you can dine regally in the Palmengarten or under old trees in the beer garden with a view of Sanssouci Palace. If you prefer it a little more rustic, stop at the historical inn Meierei im Neuen Garten for a cool glass of own-brewed beer. The cosy pub is right next to Jungfernsee lake and has a view of Glienicker Volkspark. Film freaks tantalise their palate in the theme restaurant Prinz Eisenherz in Filmpark Babelsberg in between original film sets. Relaxed gourmet cuisine awaits hungry guests in Restaurant Juliette. The Alte Forsterei tavern is traditional and hearty: Guests here dine on fine goulash or grilled chicken. Guests in the traditional inn Zum Fliegenden Holländer enjoy young herring and blueberry cake. The Holländisches Viertel (Dutch Quarter) in Potsdam city centre is home to stylish restaurants with a pleasant atmosphere. For example Ma cuisine – a love affair with French cuisine serves authentic French dishes among antiques in the lovingly decorated restaurant. The Maison du chocolat is a paradise for the sweet tooth: During the day you can snack on the finest tartes and gateaus in the home-made confectioner's, in the evening you can enjoy French country cuisine in the adjoining restaurant Ce soir. Extra restaurant tip for visitors to Potsdam: Particularly hospitable locations can be recognised by their "Potsdamer Gastlichkeit" (Potsdam hospitality) logo. Shopping is seldom as atmospheric as in Potsdam: You stroll past historical buildings, through modern arcades, discover old courtyards and let yourself be inspired by the studios and galleries of the Holländisches Viertel (Dutch Quarter). Potsdam's pedestrian precinct Brandenburgische Straße is full of large stores, souvenir shops and small stores to browse through. The large palace garden oases invite you to take a regal break from shopping. Or you sit in one of the cafés at the Stadttor (city gate) and watch the hustle and bustle pass you by. Sweet cherries from Werder, fresh Havelland fish and Beelitz asparagus – the market traders on Bassinplatz and Weberplatz peddle regional specialities. The market at Nauener Tor is a popular meeting place for connoisseurs and art lovers. The best place to watch the colourful bustle of the market is from the cafés around the atmospheric marketplace. Potsdam is particularly beautiful at Christmas: Five different Christmas markets with different flair await their visitors: The Bohemian Christmas market and the Dutch Sinterklaasmarkt, the Polish market with its arts and crafts and the Romantische Weihnachtsmarkt (Romantic Christmas Market) in Gut Bornstedt as well as the Blauer Lichterglanz Christmas market in Potsdam city centre spread a magical charm against a historical backdrop. Maybe it is because it is close to Berlin, with which Brandenburg's otherwise so relaxed and cosy capital is trying to compete, maybe it is due to the many artists and students that Potsdam offers such a range of evening activities. Potsdam's old city is a popular meeting place for Potsdam residents and visitors; cosy cafés, trendy bars and elegant restaurants are located close together. Life around Filmstadt Babelsberg is dominated by students and those working in the film industry, there are also lots of party locations here, e.g. the traditional pub Funzel with live music and the annual ska festival. One of the most legendary clubs in Potsdam is Nachtleben. In Gutenberg100 you can sing karaoke, play table football and dance to live music until the early hours of the morning. And the most popular clubs in Potsdam are Art Speicher Potsdam and Palmenzelt. The art, culture and music scene of Brandenburg's capital is booming and can easily hold its own against its largest neighbour Berlin. An interesting theatre, cabaret, music and cinema programme is offered on the disused barge Theaterschiff Potsdamm (theatre ship). The Inselkino on Freundschaftsinsel (Friendship Island) Potsdam is the site of an open air cinema showing the latest films against a unique backdrop. And Potsdam's art and cultural scene meets in the Schiffbauergasse (Shipbuilders' Lane) district. 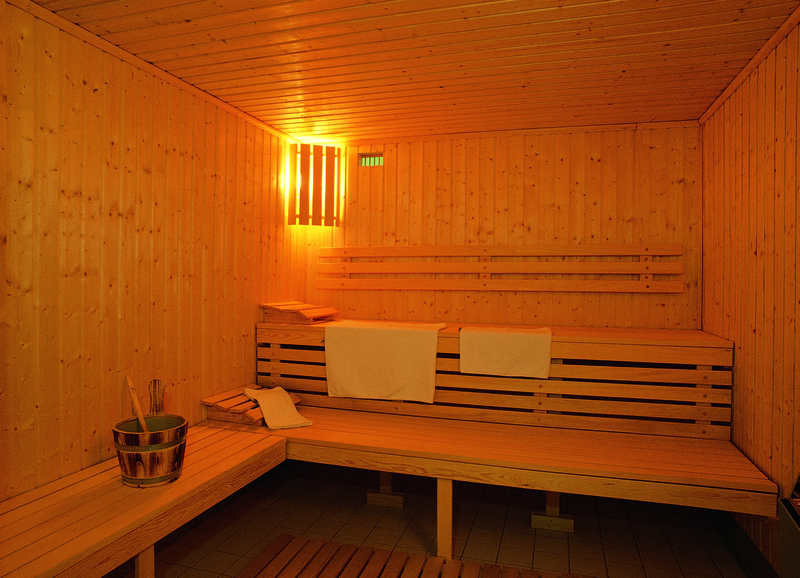 The Waschhaus offers an international programme for an interesting musical evening with high-quality live music.